To help you with what tools you can learn in 2019 I have come up with a list of 10 essential tools for Java developers, which I am going to share with you guys in this article. In the past, I did share some useful testing tools for Java programmers and this article is an extension of that as it covers much more than automation testing tools. It includes essential coding tools like IDEs, Project Management tools like JIRA, Source control essentials like Git, and Build tools like Maven and Gradle. There is a good chance that you are already familiar with some tools and in that case, you can simply ignore it or learn it to further improve your understanding of it. These are essential tools which mean as a Java developer in 2019, many companies expect that you already know these tools and they often screen your resume to find reference of these tools and mostly ignore your resume if you forget to include your experience and knowledge about these tools. Btw, this is also my second list of tools for Java developers, last year I have shared top 10 tools used by Java programmer in their day to day life, which also included some of the more general day-to-day tools Java developers used. If you need more tools, you can also refer to that to get more ideas. When I say essential tools means something which you must know but the list also contains some tools which are more advanced and even if you don't know you can work well, but knowing them will further enhance your reputation and make you more valuable and possibly can also help you in your career growth, particularly if you are looking to become a DevOps engineer in 2019. I have tried to include tools from code repository, project planning, build and deployment, testing automation and infrastructure automation. As a senior Java developer who is responsible for managing the project end to end, these tools will help you to do your job more effectively. Anyway, without any further Ado let's see some of the essential tools for Java programmers. I think Git and Github should be the most essential tool all Java programmer should learn and master. I know many of you already know Git but those who are still working in SVN and CVS seriously consider learning Git and Github this year. There is no way you can avoid Git anymore, even if you don't use it in your current project. It has become a standard for source code repository and most of the new development is using Git. If you are a beginner I suggest you check out the GitHub Ultimate course to start with. Even if you know Git, you can still learn things e.g. Git command line to further improve your knowledge. All the time and money you invest in learning Git will serve you for a long time. After Git, I think JIRA is the second most important tool for any Java developer or say any programmer out there. It has quickly become the #1 Planning and bug tracking tool on many organizations. If you are working in an Agile team like following Sprint schedules and doing Scrum meetings then JIRA is even more important. With all its capabilities to support Agile methodologies, its a must know a tool for an Agile team. You can even impress your manager and colleague by knowing JIRA in-depth e.g. You can help your team to create Sprint dashboard. If you are serious about learning JIRA in 2019, then Learn JIRA with real-world examples is a great course, to begin with. This is another essential tool for Java programmers which help you to build and manage a Java project. It's been there for quite some time and a good chance is that you already may have heard about Maven or using it in your project. It not only help you to build your project e.g. compile source files but also run your unit test and can deploy your artifacts or deliverables to live environments. It also helps with managing dependencies e.g. all the third party JAR files you use in your projects. Without Maven, this can be really a nightmare. In short, all Java developers should know Maven in 2019 and if you are looking for a good course to start with, you can check out Apache Maven: Beginner to Guru course from Udemy, one of the best course to learn Maven. 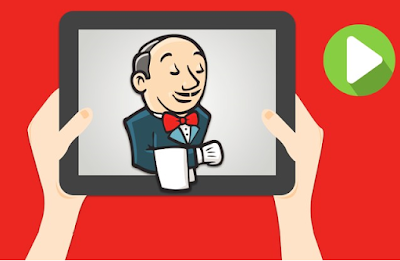 Jenkins is another essential tool for Java developers, particularly those are hoping to become a DevOps professional. This is a continuous integration tool, which means it can continuously build, test and deploy your project. In our case, Jenkins automatically runs the build every time someone check-in their code. IT also has scheduled nightly and hourly build to automatically build and test our project. If you are a senior Java developer e.g. someone with more than 5 years of experience and you don't know Jenkins then you should seriously consider learning it. If you decide to learn Jenkins, the Learn DevOps: Jenkins CI/CD with Docker is a fantastic course to start with. It provides a playback tool for authoring tests without the need to learn a test scripting language. It's becoming very popular nowadays and that's why learning it not only help you to write better code but can make you more valuable. If you are serious about learning Selenium in 2019 I suggest you start with Automated Web Testing with Selenium on Pluralsight to learn how to write an automated test for a web application. Docker is a tool that allows users to quickly assemble apps from components and work collaboratively. If you are working on web development e.g. 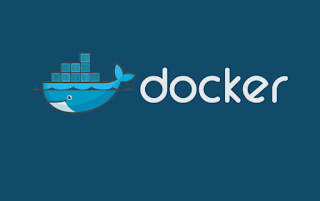 developing and deploying applications for cloud then Docker is an essential tool to learn. This is appropriate for managing containers of an app as a single group and clustering an application's containers to optimize resources and provide high availability. If you are serious about learning Docker then I suggest you to first go through Docker and Kubernetes Complete Guide before using it in your project. This is another important build tool for the Java developer. Similar to Maven it also helps you to build, test, and deploy projects. It also manages dependency like Maven does but it uses Groovy to write build script as compared to XML which is used by Maven. This means you can write more powerful and cleaner build scripts then Maven. It's a great tool for project configuration and builds automation and if you are thinking to learn Gradle or wants to know more about it, Please check The Gradle Masterclass course from Udemy. This is another useful monitoring tool which many companies are introducing in their development life-cycle. This supposes to help you to write better code by indexing your log files and using machine learning to analyze the content. It turns machine data into answers with the leading platform to tackle the toughest IT, IoT and security challenges. Companies are using Splunk to search, monitor, analyze and visualize machine data. If you want to learn more about Splunk, The Complete Splunk Beginner Course on Udemy is a good starting point. This is another great tool for infrastructure automation like to build a new server and install your application. 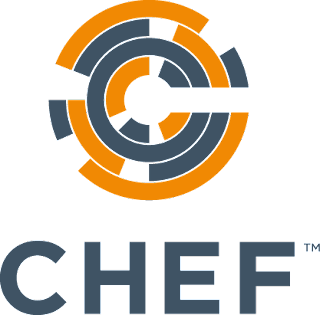 The chef is a configuration management tool written in Ruby and Erlang. It uses a pure-Ruby, domain-specific language for writing system configuration "recipes". With Chef you can manage servers a large number of serves easily. Time-consuming activities like manual patching, configuration updates, and service installations for every server can all be automated. In short, a good tool for both senior Java developers responsible for managing their environments and DevOps engineers. If you are interested in Chef and using in your organization then I also suggest you go through Chef Fundamentals to learn more about it. Finally, the most important tool for a Java developer, an IDE. I am sure you have already used an IDE as I hardly know a Java developer who doesn't use IDE but most of the users just learn one IDE like Eclipse or NetBeans and simply ignore others. The IntelliJ IDEA is one of them, which is ignored by many Java developers who uses Eclipse but it offers a lot more and you can learn it to further improve your productivity if you happen to know Eclipse already. I generally found many complex projects are better to work in IntelliJ IDEA, their Java 8 support is also much better than Eclipse. 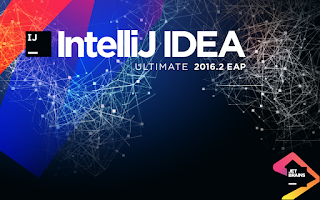 Anyway, if you are serious about learning this IDE in 2019, then I suggest you go through IntelliJ IDEA Tricks to Boost Productivity for Java Devs to further increase your productivity. That's all about some of the useful tools Java developers can learn and master in 2019 to make themselves more valuable and improve their productivity. As saying goes, you are as good as your tools, it becomes increasingly important for Java developers to get familiar with modern tools which can improve coding, unit testing, development, deployment, infrastructure automation, and continuous integration, especially if you want to become a DevOps Engineer. Thanks for reading this article so far. If you like these tools and agree that advanced Java developers will benefit from learning these tools then please share with your friends and colleagues. If you have any questions or feedback then please drop a note. P.S. - If you want to start 2019 in the good note then I suggest you join The Complete Java MasterClass, one the most up-to-date course. It's not updated for Java 7, 8, 9, 10, and 11 recently, and will be keep updated with new Java releases.